Meerkatsu offer beautifully designed fighting apparel that allows you to stand out both in and out of the ring. 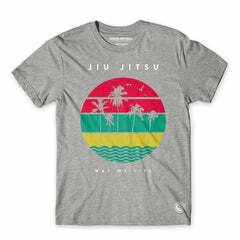 With the artwork heavily influenced by East Asian culture and the sport of Brazilian Jiu Jitsu, this is a great range for those of you looking for something a little different. Fighters Market EU are stockists of Meerkatsu rash guards and Meerkatsu spats.